Ocular lesions, sometimes associated with Marek's disease, is usually due to lymphoid infiltration of iris that causes white discoloration. 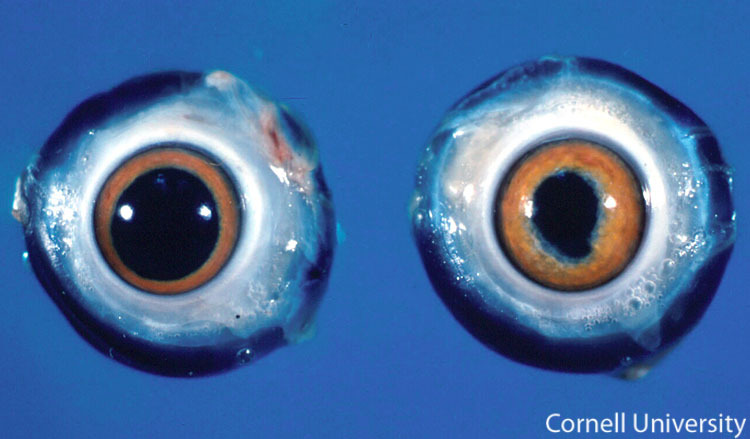 The pupil is often irregular (as shown here) and does not respond to changes of light. A normal eye is on the left.